LOCATION AND LIGHT! 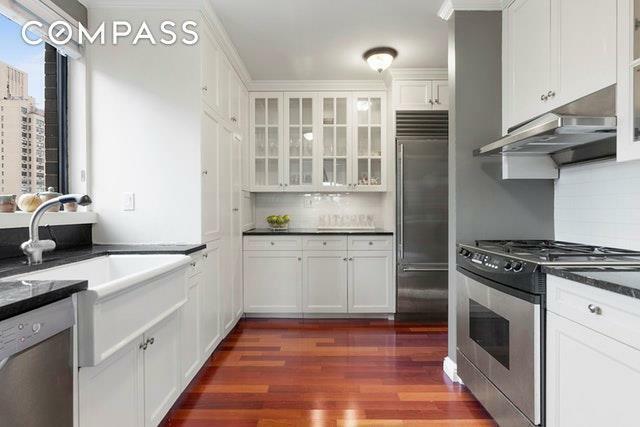 You get that and much more with this HIGH FLOOR RENOVATED 3 Bedroom/3 Bath coop home in Carnegie Hill! Open city views extend North, South and East, providing limitless natural sunlight! A long entrance foyer leads to a large open living room with floor-to-ceiling windows and views reaching the George Washington Bridge. The bright and airy dining room is situated next to the east-facing windowed kitchen with stainless steel appliances, granite counters, a deep sink and a vented WASHER/DRYER! Bathed in southern light, the expansive master bedroom is ensuite. The other two generous-sized bedrooms, each with their own bath, are in a separate wing, providing privacy. 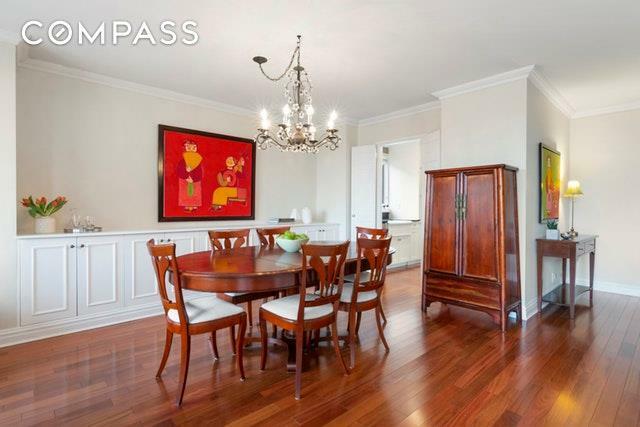 Other features of this special home include Brazilian cherry wood floors, crown molding and custom doors throughout. Pull right up to the front door of The Park Regis through the PORTE COCHERE, unload your car and park in the GARAGE, which is discounted for tenants! 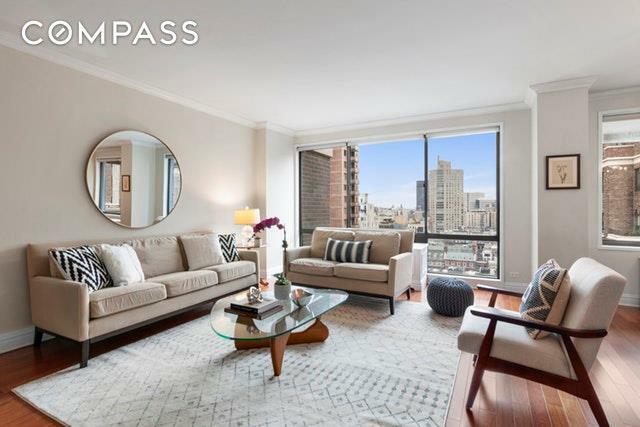 This coveted address is accessible to the best schools, in NYC, Museum Mile, Madison Avenue shopping, restaurants and transportation. Additional top-notch services include, 24-hour doorman, concierge, resident property manager, fitness center, bicycle storage and landscaped garden. PET FRIENDLY! NO FLIP TAX! 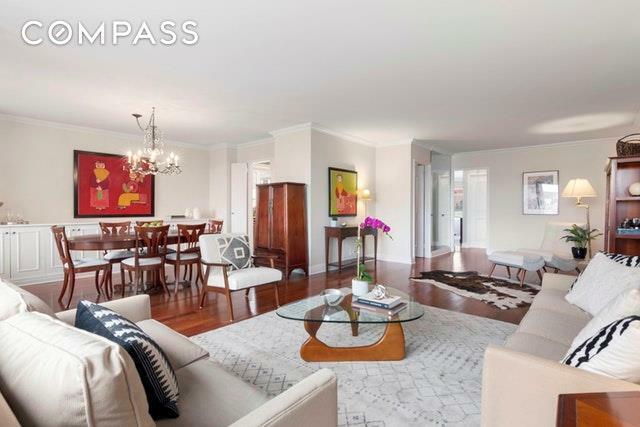 Listing courtesy of Amy Goldberger of Compass.